Unless said “mini”-whatevers is so delicious that you eat so many that “mini” is no longer relevant. And you might as well have made mega bites. 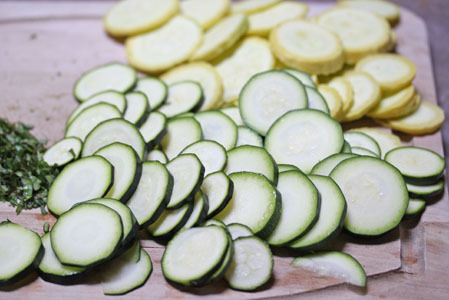 Slice up the zucchini and squash. Roll out the little mini pizzas and top with fresh herbs and Parmesan. 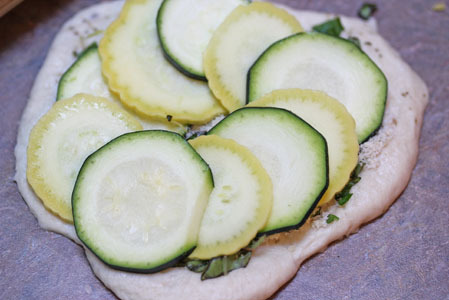 Arrange the squash and zucchini so they alternate and lay over each other in a nice circle. Brush with olive oil. Sprinkle with Kosher salt. Divide the pizza dough into 8 small balls. Roll out each ball into a round circle on a lightly floured surface. 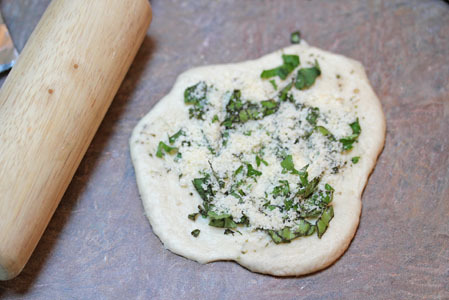 Add a pinchful of Parmesan cheese and fresh chopped herbs to each circle. 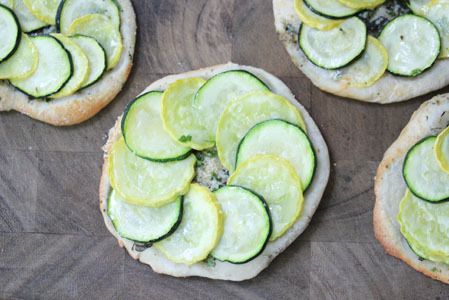 Arrange the sliced zucchini and summer squash in a circle on top of the cheese and herbs. Brush with olive oil and sprinkle a bit of Kosher salt and pepper over top. Serve as is for a light summer lunch or dinner…or with grilled chicken, or fresh fruit, or garden salad for a larger meal. Perfect!!! I had no idea what I was doing for dinner and opened your email to see this perfect idea! 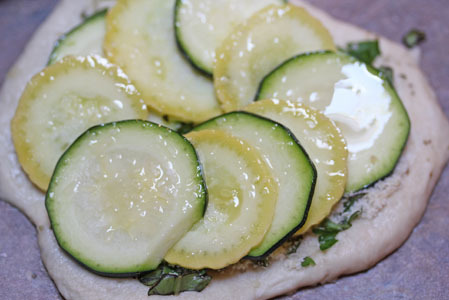 I had fresh zuchinni from the garden and pizza dough in the freezer. After a quick thaw I’ve got them in the oven. Thank you so much!!! They’ll be delicious I know. Hi Susan, would you kindly share your recipe for the pizza dough and tips in how to freeze it. Thanks in advance! Mini or mega, I don’t care….I want some! SO Good! I wish I had rosemary to put on them, but I just has basil and oregano. Still wonderful, a fun way to eat squash. Thanks for sharing! I tried these yesterday and they were super yummy!